This is the finished ink pen and wash drawing. Two process images below. 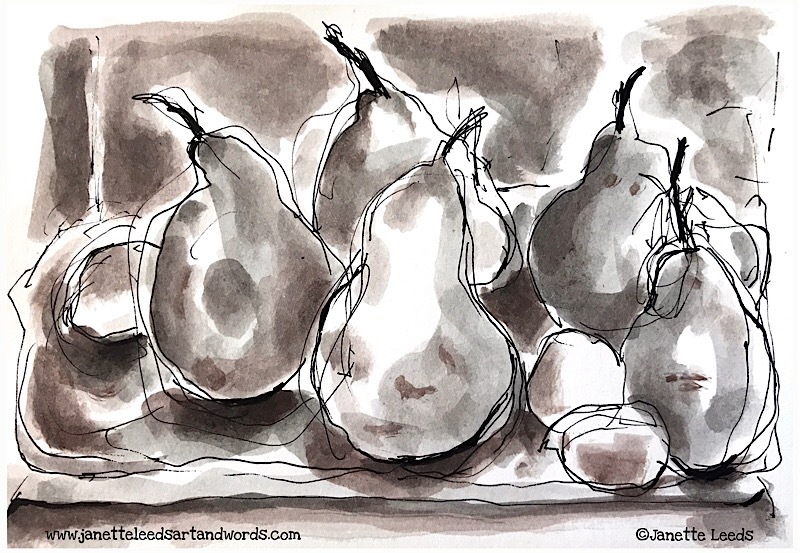 This link here, is to post I did of iPad pear paintings – accompanied with some word play. A quick sketch to begin. I began with a Uni-ball ink pen. When I began to add some black Inktense block washes, my brush accidentally slipped across a colour called “natural brown”, so I decided to use that as well – which created pleasant sepia tones. Hi Janette I had to close my wordpress as I had too many things going on but one day hope to build a new website when I finally finish a picture book. Raining here so good.